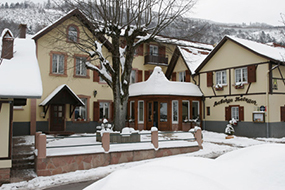 Between Strasbourg and Colmar, in the heart of the Vosges massif, treat yourself to a break at the charming 3-star Auberge Metzger hotel. 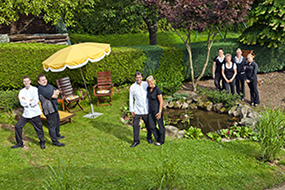 The METZGER family invite you to share pure moments of serenity in the very heart of what nature has to offer in Natzwiller. Our hotel boasts 15 comfortable and bright rooms. All are perfectly functional and equipped with a range of modern facilities. 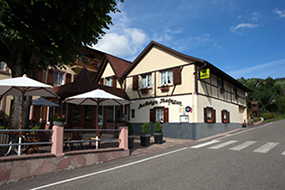 Our charming hotel is the ideal place for those of you who wish to visit the Vallée de la Bruche and the Bas-Rhin, regions rich in monuments, with multiple activities for all to delight in. You will also have the opportunity to taste traditional Alsatian cuisine prepared by our chef, Yves METZGER. 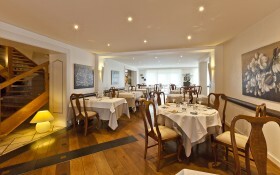 Enjoy your meal in the restaurant or on the terrace overlooking the beautiful gardens. Sample regional dishes and delicacies that are as creative as they are refined. 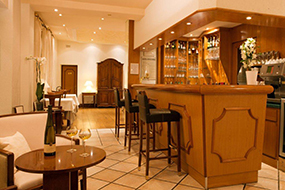 Take advantage of our 3-star hotel to organise your seminars or workshops in Alsace. 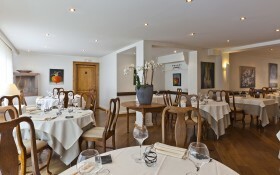 We have a function room that can be made available to guests (can accommodate up to 15 people). From 15 juillet 2018 to 26 août 2018 incluswe are open on Sunday evenings. 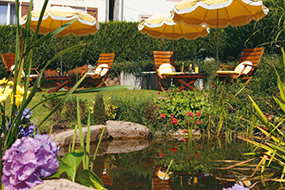 The food critic, Gilles Pudlowski, has included our hotel on his 'Inn of the Year' list in the 2013 Pudlo Alsace Guide. We are closed for annual holidays from Monday 02 to Monday 09 July 2018 inclusive. We will have the pleasure to welcome you as of Tuesday, July 10, 2018. We are closed on Sunday evening and Monday all day. From July 15, 2018 until August 26, 2018 inclusive we are also open on Sunday evenings.